Kaye Aldenhoven’s political, loving, and sensuous poems range over the meaning of skin with a clear and direct voice. 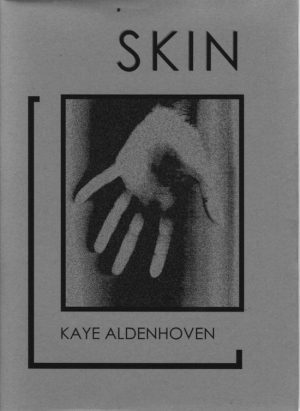 Skin is Aldenhoven’s second book. Her first, In my husband’s country (2001) was admired for her intimate perception of the untamed country of Kakadu. She has lived and worked in the Northern Territory for 33 years and these poems are intimately connected to that life, in all the deep, and in all the casual, ways it can be.